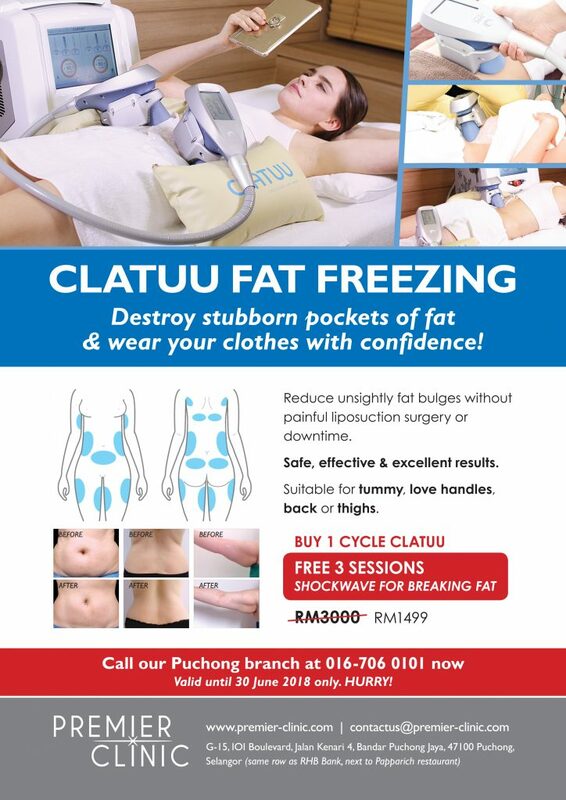 Premier Clinic Puchong is offering an irresistible Clatuu Fat Freezing promo until 30/6/2018. Clatuu targets and eliminates unwanted fats so you can be slimmer without any major side effects. Buy 1 cycle Clatuu for only RM1498 and get FREE 3 sessions Shockwave to breakdown stubborn fats for even better results (normal price RM3000). http://premierclinic.wasap.my to WhatsApp us now. We do not charge any consultation fees. Limited time only. Hurry, make your appointment today!